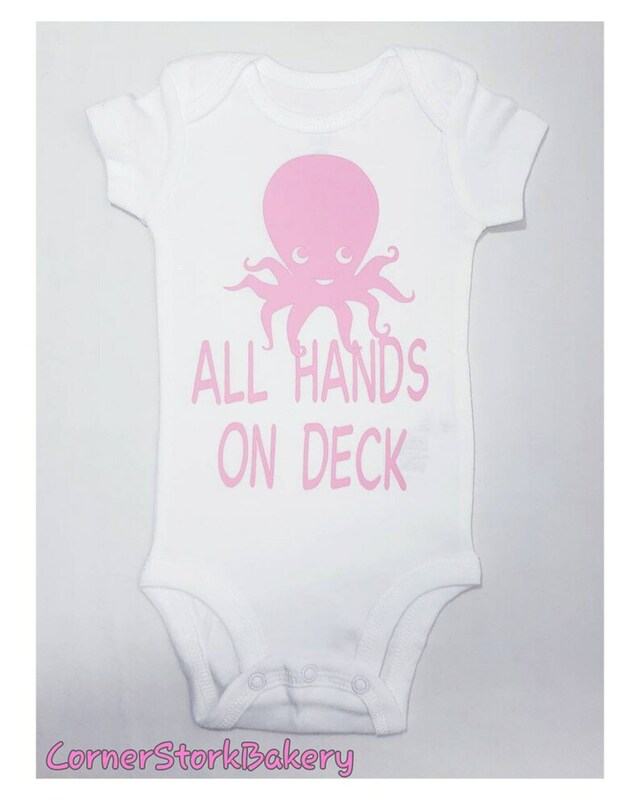 Custom made All Hands On Deck Octopus Baby Onesie makes a cute and funny baby gift. It can be given to reveal a pregnancy, reveal baby's gender, a cute baby shower gift, for a holiday, or just because. They're funny because you know the new parents are going to wish they had that many hands! This listing is for 1 Octopus custom onesie. • 1 Carter's brand white short sleeve onesie with Octopus "All Hands On Deck" design made with pink htv. Can be made in different colors per request.